We share files everyday—over email, social networks and through the numerous cloud services. But that all requires a solid Wi-Fi or Internet connection. If, heaven forbid, neither is available, what then? 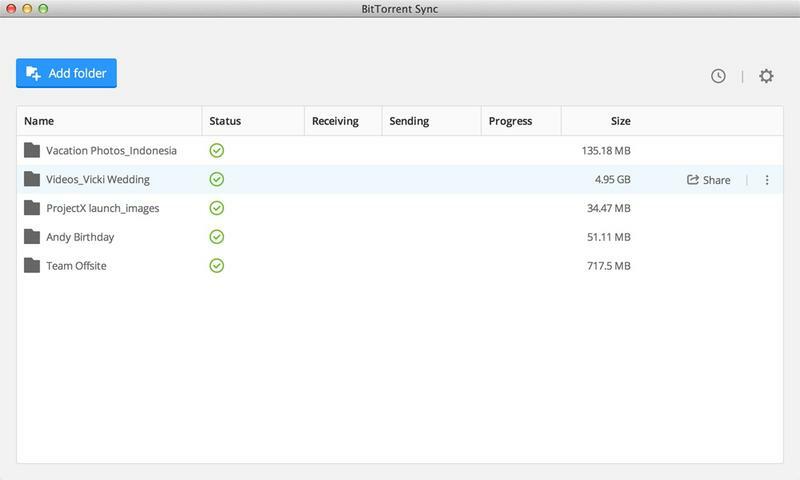 BitTorrent has the answer. The peer-to-peer sharing service on Tuesday officially announced the arrival of Sync 1.4, a major update to its “cloud but not really” sharing project. What started out as internal company software has blossomed into a service that millions of people rely on everyday. The company says that since Sync hit Alpha one-year ago, over 80 Petabytes of data has been shared. That is A LOT. The thing about early versions of Sync, though, is that the service was never an elegant solution. You had to have some knowledge—or at least some patience—in order to really use the service at its fullest potential. But the newest version has an all-new UI that makes it dead simple to share with others. I got an early glimpse at what the software offers, and let me tell you, even a knucklehead like myself, who has never used Sync before, can easily use it. 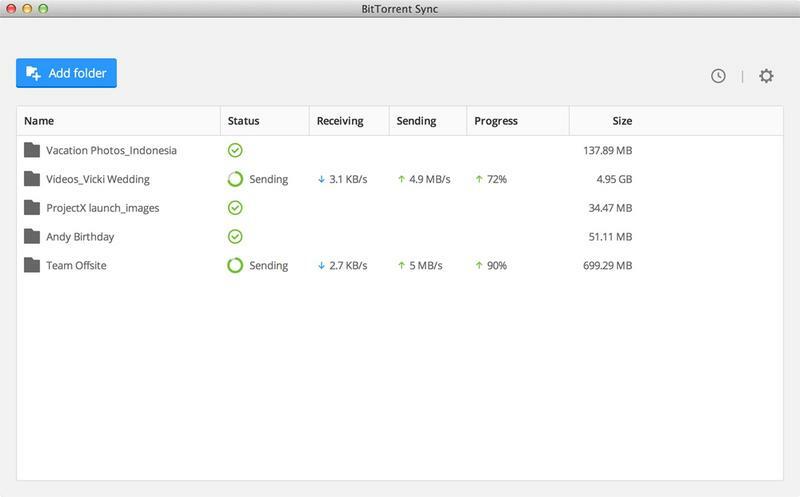 Sync is almost like what you’d associate with the traditional torrent. When you share a file, the more devices that file (or files) is on, the faster it spreads. So if you share a large file with co-workers across the country, the faster it can be downloaded because it’s spread to multiple machines. 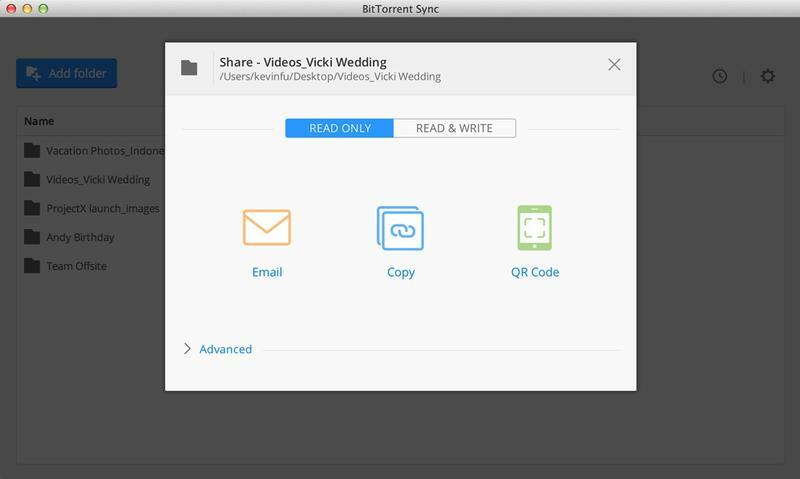 And the great thing is is that users of Sync have complete control over who can share a file, and for how long. You don’t need an account to use sync, and you can assign special access to files and folders by email, QR code, or simply sending out a link. The interface of Sync has been pretty much redesigned from the ground-up in version 1.4—if you’re familiar with 1.3 you can see how drastic of a change 1.4 is. You now get an interface that shows what folders are being shared, along with the status, size and progress. 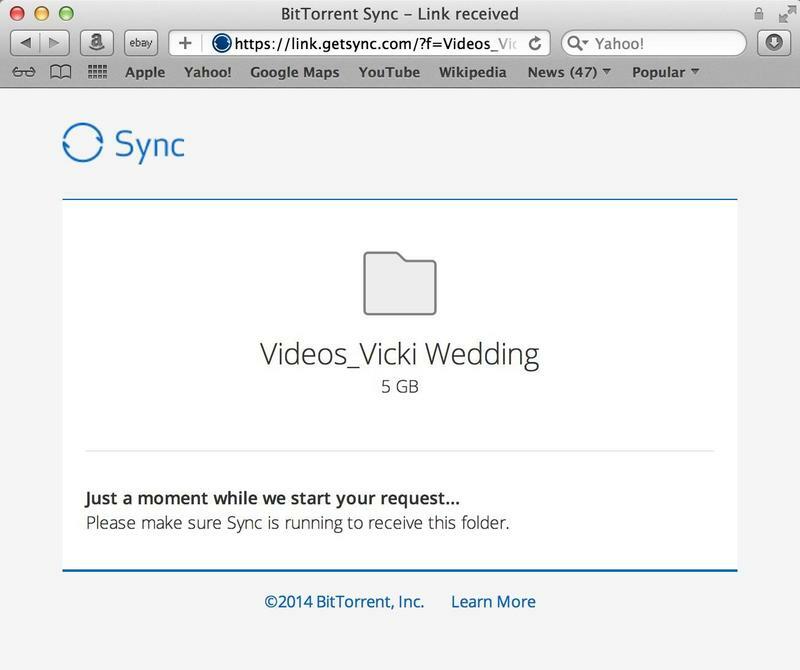 And so long as you download Sync on your devices, everything will always be available. BitTorrent explained that while the service was first used internally among employees, it has turned into a service that many businesses, big and small, have signed up to use. You can download Sync 1.4 for Windows OS X and Linux now, with mobile versions (iOS, Android and Windows Phone) set to roll out in the coming days.